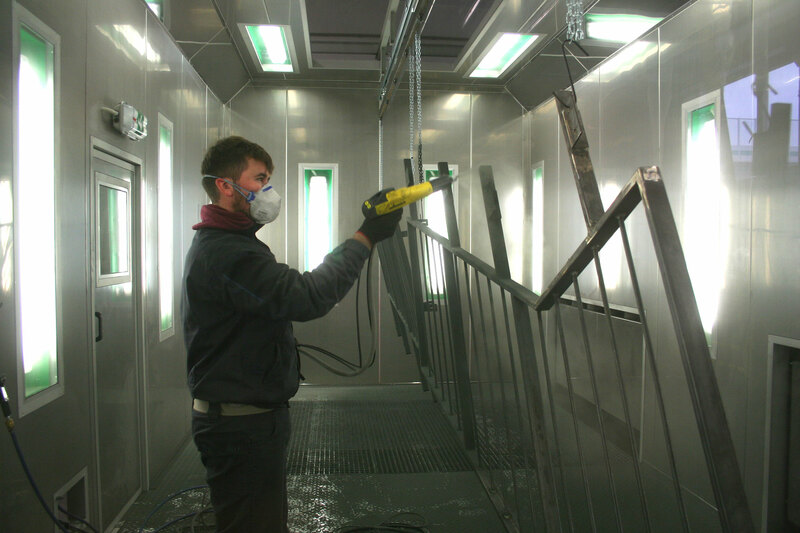 Powder Coating of Metal Surfaces in a Powder Paint Shop. 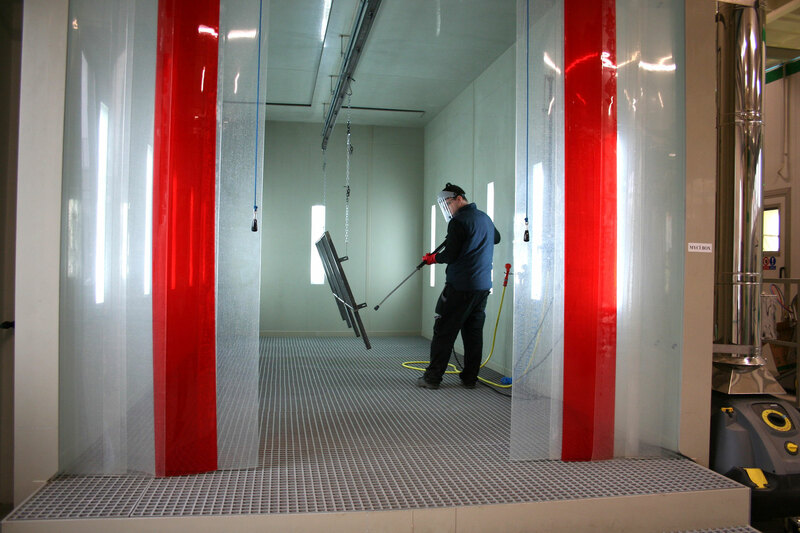 We work with the latest technology and equipment to guarantee perfect quality – every time. b) By tribostatic charging (friction charging, also known as “TRIBO”) when the electrostatic charge is generated in the powder particles by their friction against an insulator. 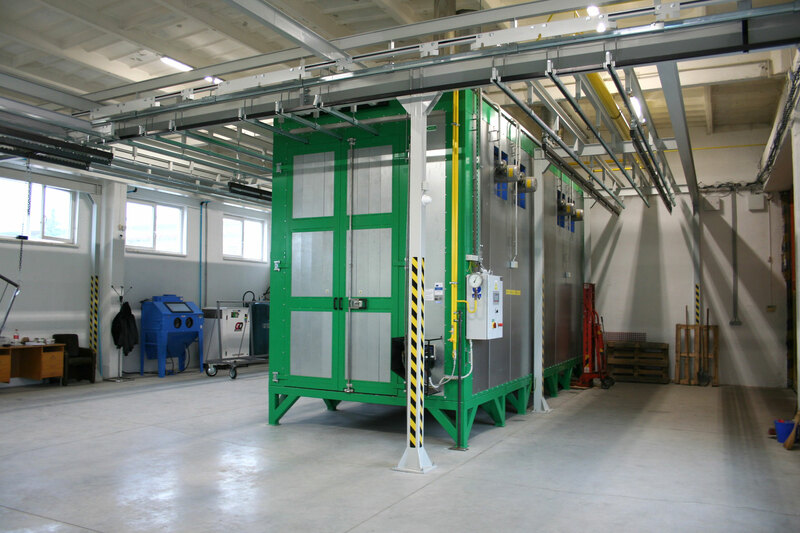 The resulting electrostatic attractive force is enough to create a sufficient layer of powder on the object, it keeps the dry powder on the surface until it melts and attaches to the surface in a special curing furnace at a temperature of 170-200 °C for 10-25 minutes. 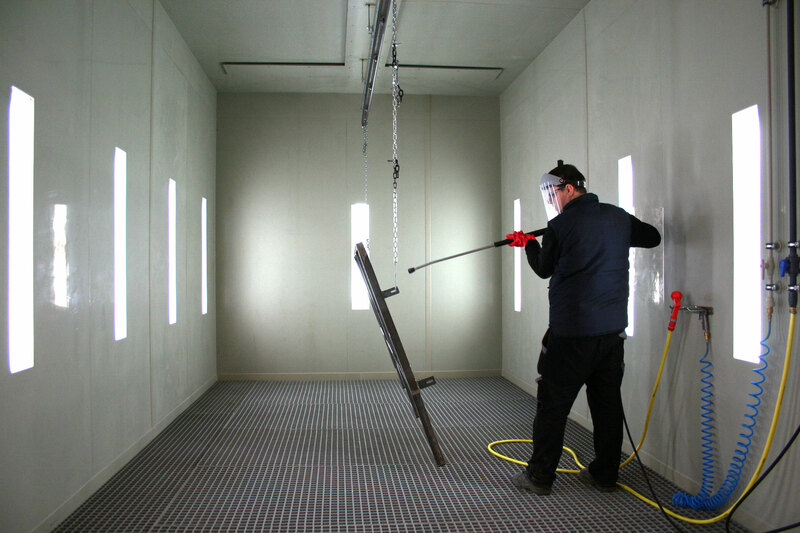 The resulting quality of the cured coating is highly dependent on the chemical pretreatment of the surface material before applying the paint. 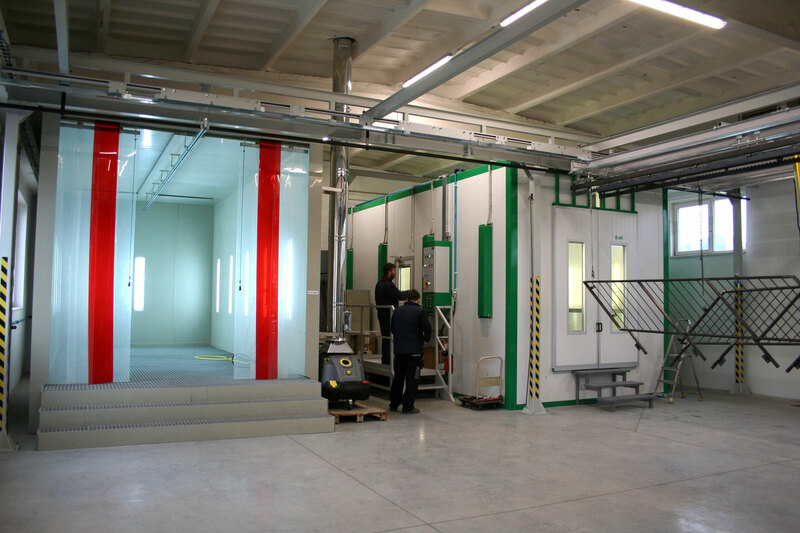 The material surface treatment is done differently for iron and aluminium. Phosphating is used for iron and the so-called “titanium coating” is a new technology used for aluminium. 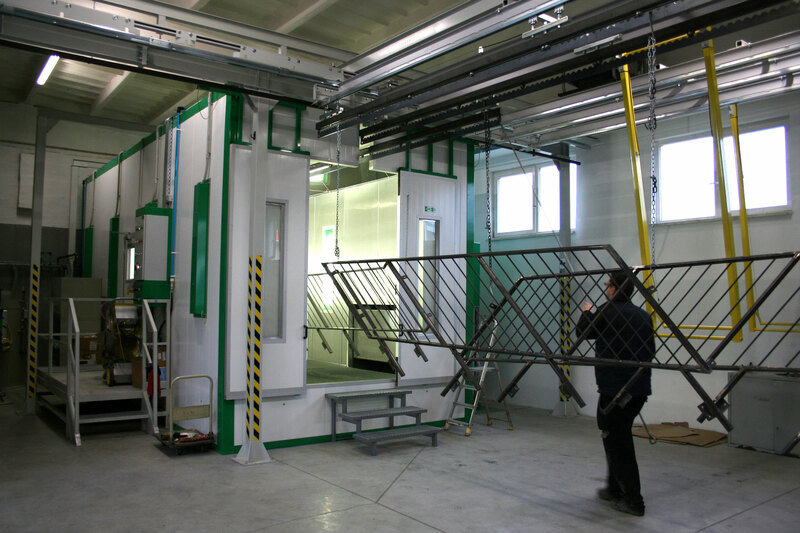 Both are applied by dipping the piece into a degreasing solution, rinsing it with demineralized water and dipping it into the passivation solution, whereby each dipping has its defined duration and solution temperature. These processes are quite difficult in terms of controlling the quality of each solution because they have to be monitored daily. After this pretreatment and subsequent surface treatment, the product has excellent chemical and corrosion resistance, impact resistance, abrasion resistance, flexibility and it is also suitable for contact with drinking water, children, food, etc. 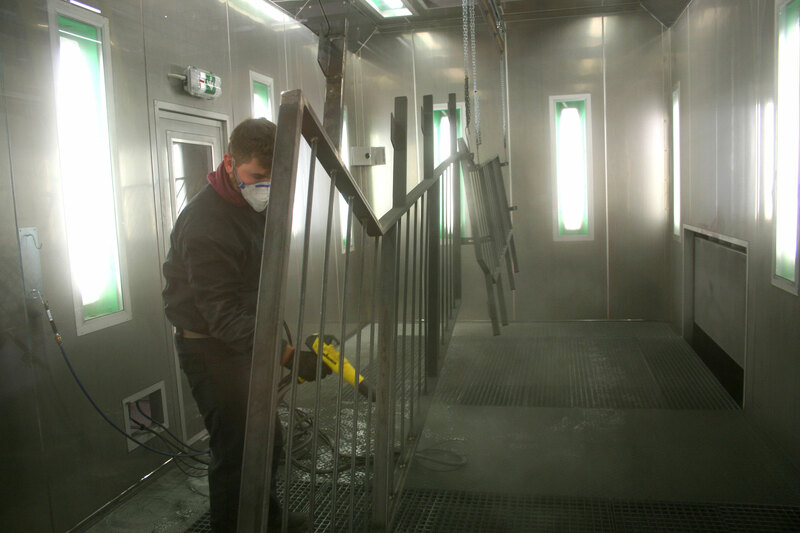 In a nutshell, we use state-of-the-art technology that best meets the requirements for the surface treatment of metals. 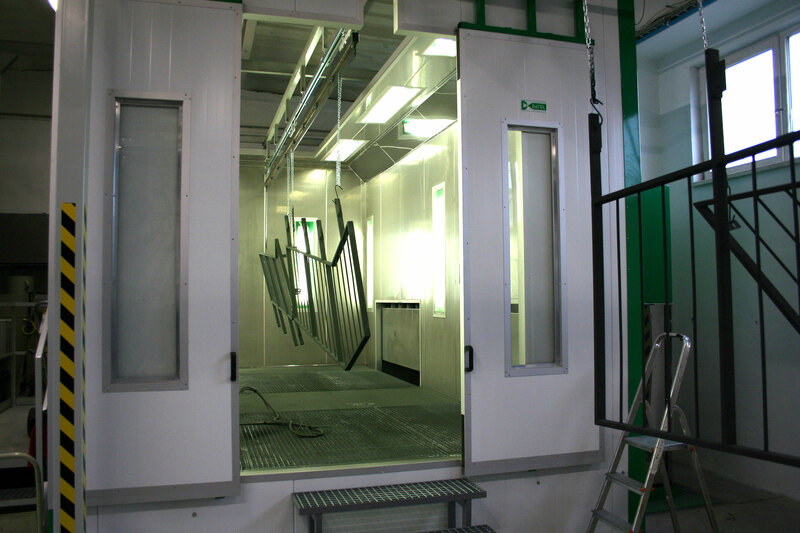 Powder paint is a modern and ecological surface treatment solution, which we are proud of.